I bought this frameset and some bits earlier in the year from GT Steve having followed the epic build thread he put up. It's my only current retro ride and hopefully i've done it justice. 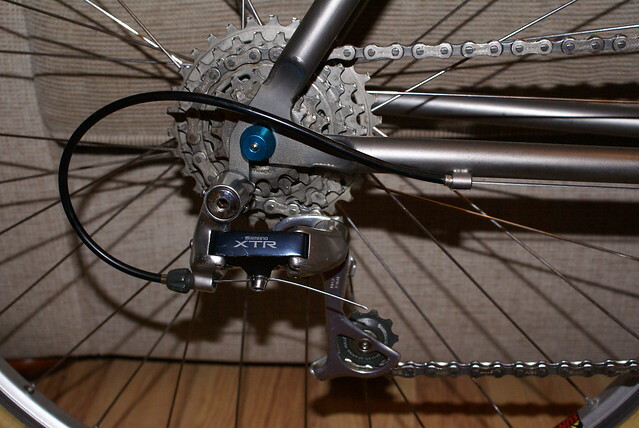 The extra spacers in the headset will be gone at the weekend when i get time to cut down the steerer. I have had to compromise a little on the build as finding parts to get the shaka's that came with the frame into a usable state have proven troublesome to say the least. This being the case i have settled for some RC35 mxcd's which i think complement the frame well. Daylight pics to follow at the weekend. The flash on my camera is a little harsh so the saddle shows up brighter than it actually is, its more navy in normal light. Sweet! 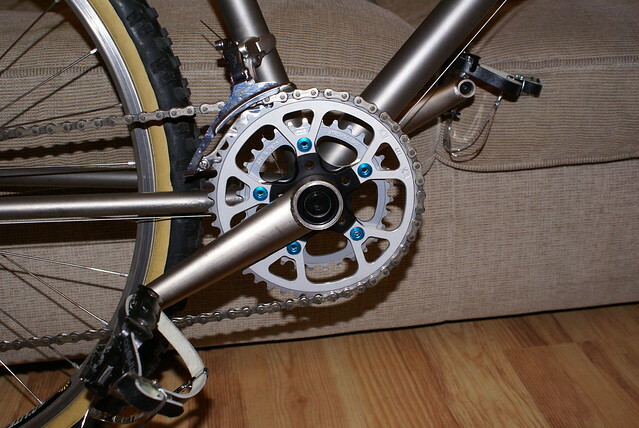 What are those cranks? Agree with the saddle, makes it slightly too blueish to my liking. But none the less, ace build. How do the fork work? Have you gone off road with it? 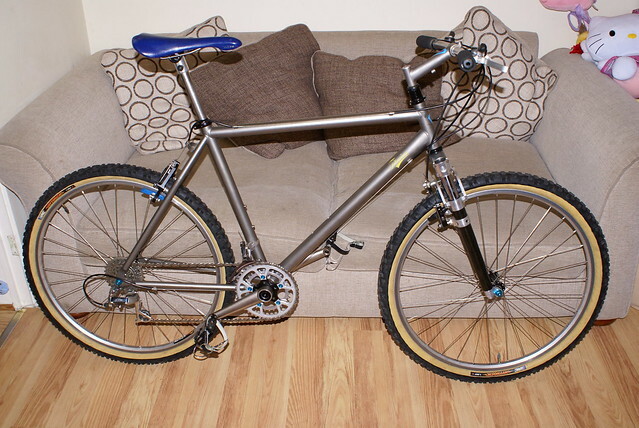 I am thinking of fitting one onto my Moots… Just ain't sure if i should take the plunge! 97 Morati Ti Pro Lite HC1.1,Litespeed Trike, 17 Lynskey Helix Sport, 17 Lynskey Ridgeline F140 27.5.